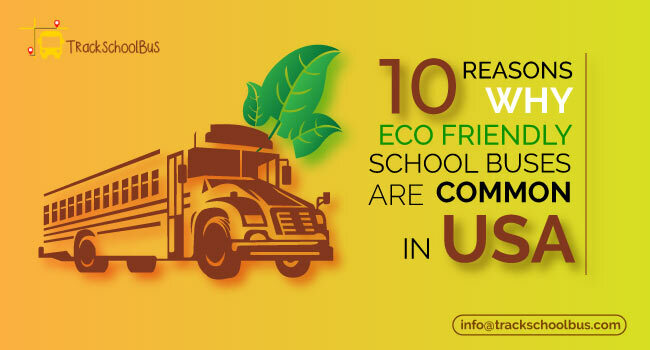 A majority of schools have large fleets of buses that ferry children to and from schools every day. These buses ensure safety for the children. Safety is a major point of concern not only for the parents but for the school authorities as well. 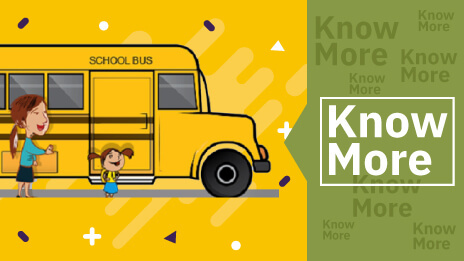 In addition to the quality of education that a school provides, the transportation facilities provided by the school for the safety of their students is a major factor that parents look for when choosing a school for their ward(s). 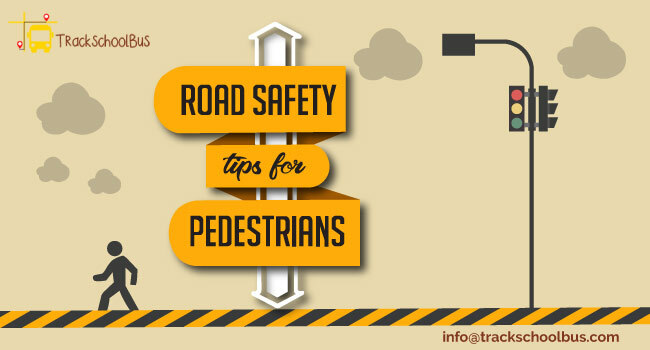 Given below are few important points which can be practised by the school authorities to manage the school transportation in an effective manner. It would do best for the school transport department to assign time-saving bus routes in an optimized manner so that it means cost saving in terms of less fuel expenditure. This activity has to be carefully planned out in such a manner that multiple vehicles of the fleet do not share the same route, do not overlap, or cause any kind of confusion whatsoever. Such a happening would lead to a waste of resources. 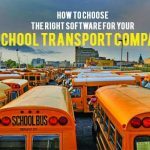 This is yet another challenging aspect of managing the school bus fleet. 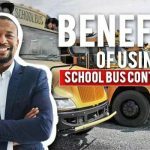 The school transport department has to create bus stops from where the students can be picked up or dropped off. However, a lot of care has to be taken while deciding the location of these bus stops. They should be at a convenient spot so that students can reach the bus stop without any difficulty. Secondly, the stops should be in locations that are safe enough for the students to wait till their respective bus comes. The bus stop location cannot be fixed at spots with heavy traffic as it turns out to be inconvenient and unsafe for both parents and children. Managing the timings of the buses in the fleet is a very important aspect. The bus routes are primarily decided based on the availability of the vehicles in the fleet. When the routes are allocated, then check the timings of the buses which also includes some buffer time kept aside for any unforeseen delays such as breakdowns, traffic blocks, etc. The buses of the fleet are allocated timing in such a way that only the time required for the travel along the route is allowed for them. Running a fleet of buses is a major cost incurred for the school. The fee structure should be decided on the basis of the running times of the bus and the routes that are traversed. Other variables to be factored in include the salary of the bus staff, maintenance costs, fuel costs and a facility fee. The fee amounts would be different for different routes that the bus takes and depends on the distance of the bus stops from the school. Firstly, it should be borne in the mind that the student-teacher ratio should be maintained appropriately in each of the buses. The authorities should assign at least two or three teachers per bus. One of the teachers should necessarily be present in the bus till the end of the route or until the last child in the bus gets off. 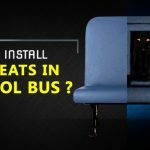 This ensures the safety of the children travelling in the bus. The attendance roll call for students travelling by each bus should be done every time bus leaves the school and before the bus reaches the school after the trip completes. This ensures that the authorities are keeping track of the students. It ensures safety and no slipups whatsoever. Any untoward happening on the bus can be spotted immediately by the authorities. 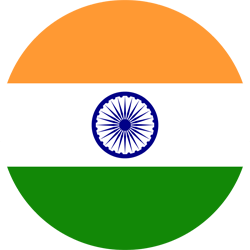 It is most important that the authorities take complete responsibility to ensure safety for those travelling in the bus. 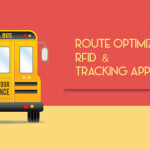 Tracking school buses and occupants is one of the important things that a school should perform to manage school transportation effectively. 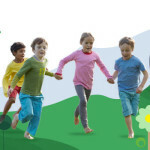 This helps the school authorities to take sudden action if any mishaps or any emergencies come during the trip. This in turn helps to tackle the issue without much stress. 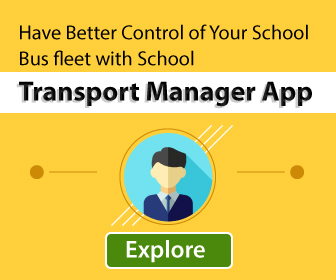 Integrating the school transport management software with GPS allows you to get various reports including the wear and tear of the vehicle parts, speed reports, etc. 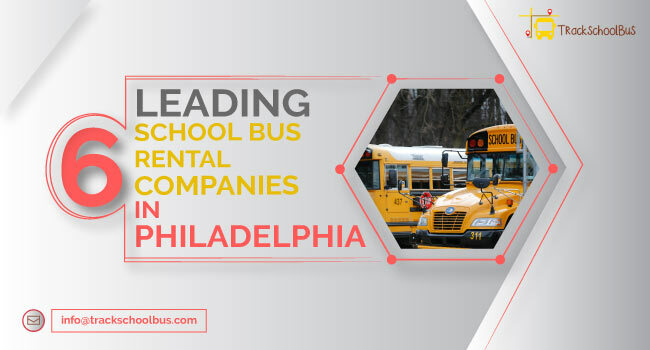 All these reports help to improve the efficiency of the bus fleet by organizing optimized routes that help to cut costs as well as ensure a safe trip for the students. Video surveillance of the bus every time is essential. 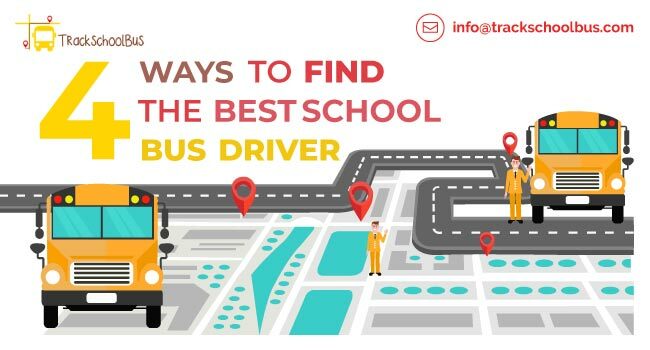 It helps school authorities to ensure that everything goes all right with the staff, driver, attendant and students at all times. Any bad behaviour on the part of the driver/staff/students can be stopped in the beginning itself. Use of fleet maintenance software helps to track the vehicle downtimes, parts required, inventory status, expenditure, maintenance schedules, usage of fuel and replacement criteria. 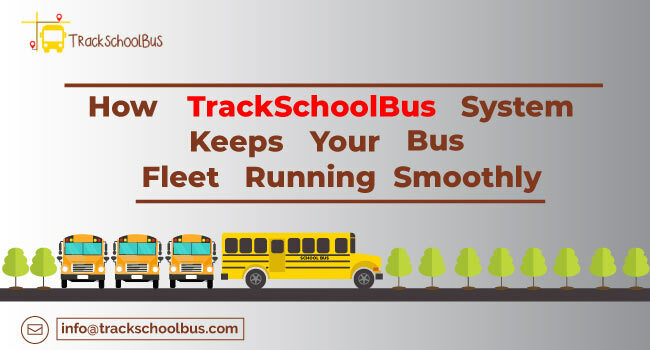 Tracking these helps to increase the efficiency and manage the school bus fleet more effectively. 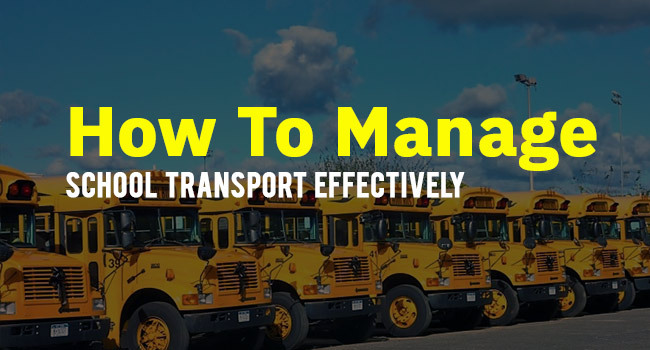 Technology is revolutionizing every aspect of school bus fleet management and it is important that every school’s authorities gather sufficient information to make the most of this and ensure a safe trip to students along with managing it efficiently at the same time.